The Concerto Project Vol. III represents the third release in a series of four albums to be released by Orange Mountain Music documenting the eight Glass concertos. 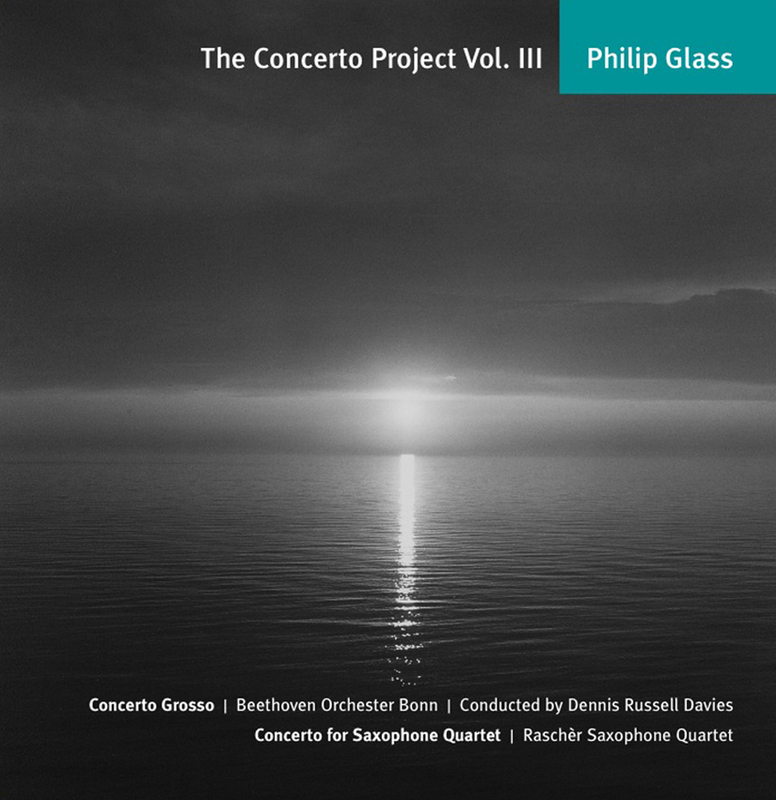 Volume III includes Glass’ “Concerto Grosso” Each movement of the “Concerto Grosso” is written for a distinctive group of instruments – the winds, brass and strings, which together make up a symphonic ensemble. It is performed by the Beethoven Orchester Bonn conducted by Dennis Russell Davies. The second concerto on the disc is Glass “Concerto for Saxophone Quartet.” The concerto performed by its commissioners, the internationally renowned Raschèr Saxophone Quartet. Glass conceived of the work as both a concerto for Saxophone Quartet and Orchestra but also to create a version sans orchestra which is heard on the current recording.